Martha 'Midge' Moser, 89, of Ringtown, passed away Wednesday, January 30th, 2018, while a guest at the Shenandoah Senior Living Community. She was born in Shenandoah, on June 17, 1929, a daughter of the late Lillian (Shoup) and Harry Engle. Midge was retired from the local garment industry, and for many years sold produce from her porch on Main Street in Ringtown. 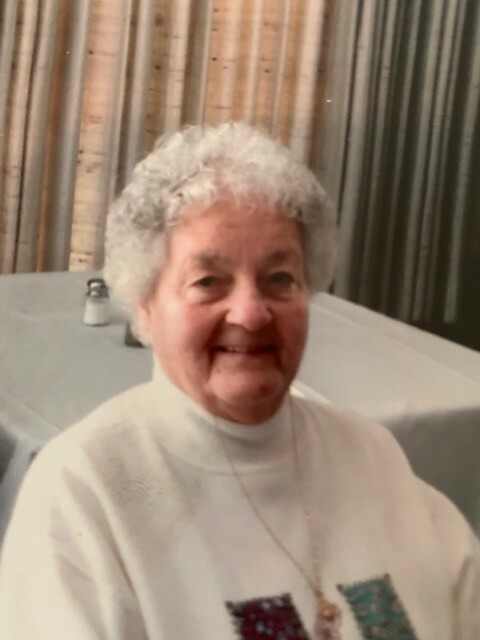 She was a lifelong member of Aurand Memorial United Methodist Church in Ringtown, where she was a member of the Polyanna Class and was in charge of preparing the elements for Holy Communnion at the church. Midge enjoyed growing gladiolas in her garden as well as crocheting and plastic canvas needlepoint She also enjoyed attending her grandchildren's activities. She was preceded in death by her first husband, Albert Weikel in 1970 and by her second husband, James Moser in 1990. Also preceding her in death were two brothers, Harry and Gerald Engle. Midge is survived by two daughters, Linda, wife of Orval Shoup, and Brenda, wife of Donald White, all of Ringtown. She is also survived by brothers, Edward Engle, of Coatsville; John Engle; Ronald Engle and Robert Engle all of Ringtown; her aunt Catherine Lorah of Brandonville and an uncle Frank Drumheller of Danville. She is also survived by 5 grandchildren, Heather, Amanda, Megan, Jennifer and Donald, along with 6 great grandchildren and nieces and nephews. A Funeral Service will be held at 11 AM on Saturday, February 2nd at St. John's Lutheran Church in Ringtown, with Pastor Jay Serafin officiating. Relatives and friends are invited to attend a viewing from 9 AM to 11 AM on Saturday, at the church prior to the service. In lieu of flowers, memorial contributions may be made to Aurand Memorial United Methodist Church, 217 West Main Street Ringtown, PA 17967.